Whether you have a single shop or a chain of stores, BBi can offer a complete insurance and risk management service. By combining our worldwide stock insurance experience with a detailed knowledge of the retail trade, we are able to offer retailers a comprehensive service that incorporates all aspects of risk control and insurance. We understand that large retailers in particular rely on a number of critical areas such as the distribution centre, IT systems and health & safety procedures at store level. Our retail insurance solution includes health & safety services as standard, along with a risk management strategy to reduce claim cost, and therefore resulting in lower premium spend in the long term. The income insurance attached to your standard insurance schedule will also cover you for future store expansion. 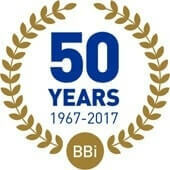 If your current insurance advisers don’t seem to have a handle on the risks you are exposed to, or are not discussing with you how to reduce your premiums in the long term, contact BBi to arrange a review and audit of your insurances.